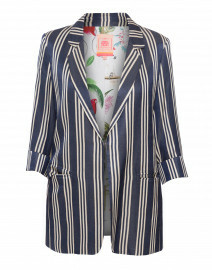 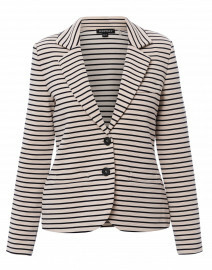 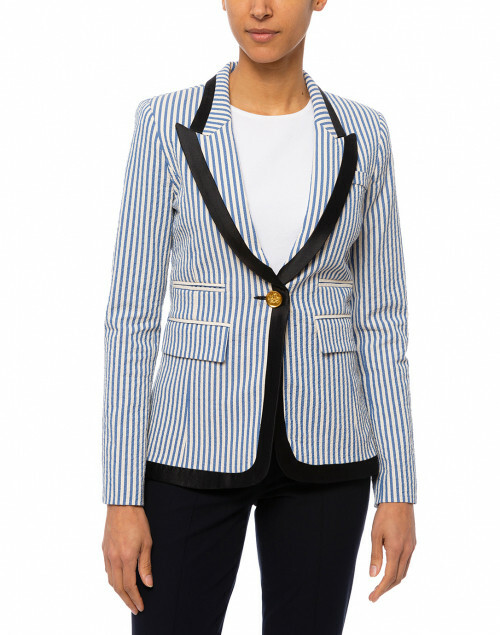 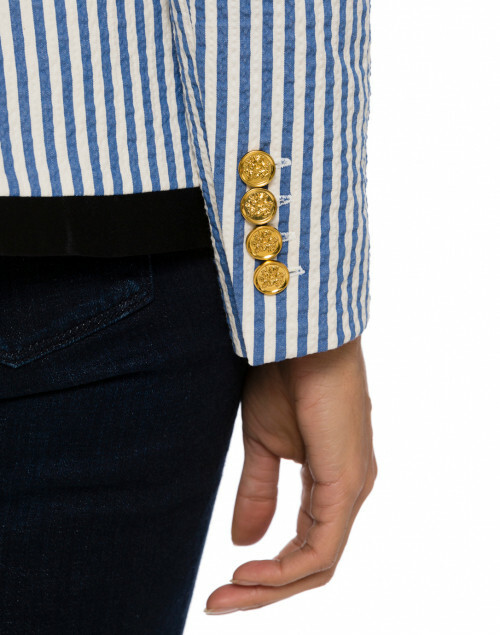 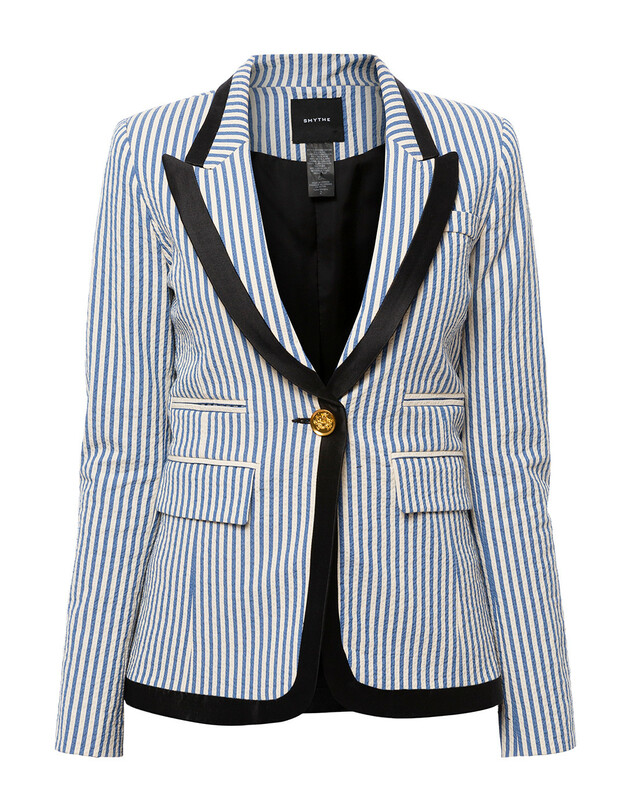 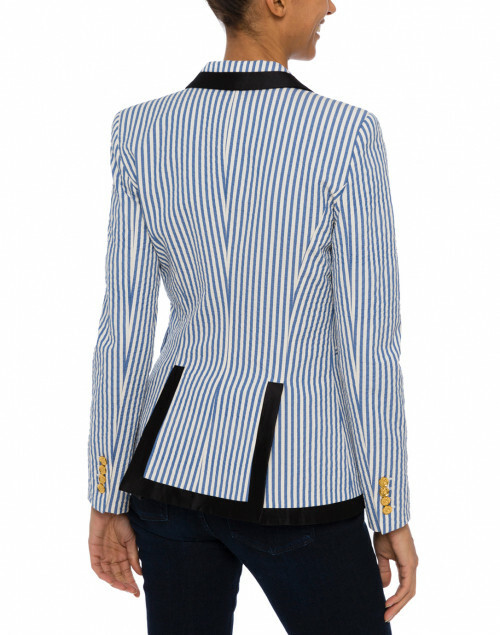 This blue and white striped blazer expresses Smythe's focus on tailoring with a modern edge. Tailored in Canada from lightweight stretch cotton, this preppy chic seersucker blazer has a dramatic peaked lapel emphasized by its contrast black blocked border. 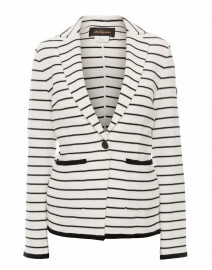 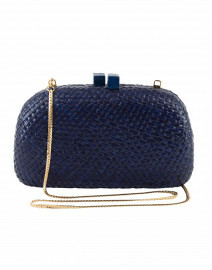 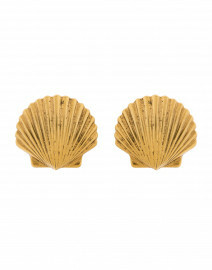 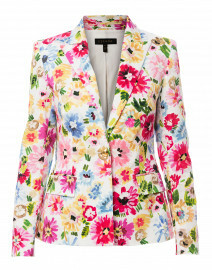 Pair it with slim jeans and a structured tote for a polished daytime ensemble. 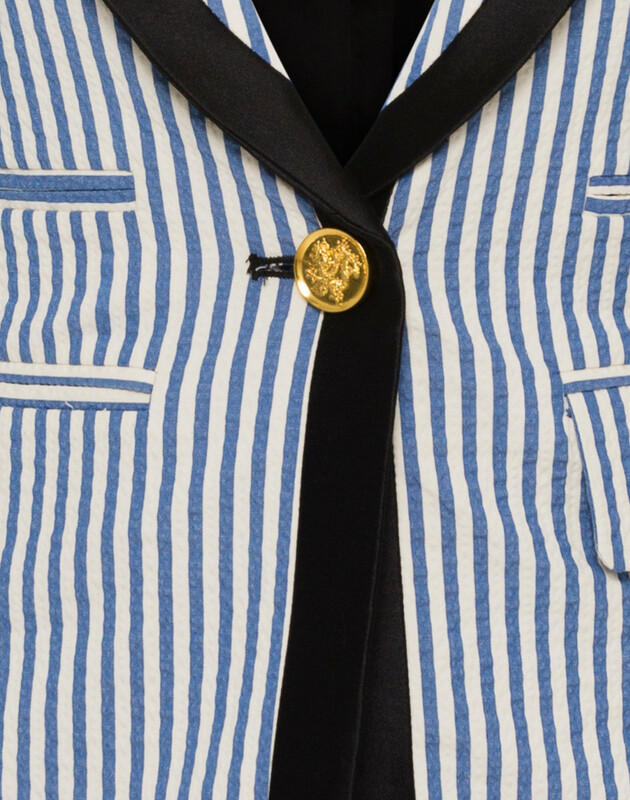 Length 26" 26" 26" 26.5" 26.5" 26.5"
Shoulder Width 14.5" 15" 15.5" 15.5" 16" 16.5"
Bust 34" 35" 36" 38" 40" 42"
Hip 34" 35" 36" 38" 40" 42"
Sleeve Length 24.5" 24.5" 24.5" 25" 25" 25"
Slit Length 8" 8" 8" 8" 8" 8"